When disaster damages or destroys your home, it is, to say the least, one of the most stressful events you will experience. Confusion, grief, disbelief, amongst a myriad of other emotions, set in, and knowing what to do and how to proceed in the aftermath can completely overwhelm you. Having worked with hundreds of others who have experienced similar losses, we understand what you’re going through, and know exactly how to take care of you and get your home and life back to normal as quickly and painlessly as possible. Our team of experts at SCC does this in the most important way…by advocating for you with your insurance company, minimizing the pain and complexity of your insurance claim, and ensuring you receive and maximize all the benefits, resources, and settlements to which you are entitled. Our adjusters have successfully handled hundreds of homeowner insurance claims, ultimately helping rebuild and restore lives. As public insurance adjusters, you are what is important to us…we work for you, and only you, and never, in any way, for or on behalf of the insurance companies. The insurance companies go through the claim process everyday and have stacked the deck to their advantage and against you. With our experts on your side, that unfair advantage is nullified and the playing field is quickly leveled. If you want to level that playing field, and assure that you are properly indemnified, and get back your life back to normal as quickly and painlessly as possible then hiring a public adjuster is the smartest, best decision you will make for your insurance claim. You wouldn’t file a complex tax return without an accountant, or head to court without an attorney, or avoid a medical expert if you faced a severe illness…and no one should ever navigate a complicated insurance claim without a qualified, expert public adjuster working on his or her behalf. The company adjuster (often referred to as simply the “insurance adjuster”) works for the insurance company. The independent adjuster also works for insurance companies, never for policyholders. They are simply Independent contractors who may confuse you when asked who they are representing. So to repeat and make clear, the public adjuster is the only type of adjuster who works exclusively for policyholders and never for insurance companies. This means there is no inherent conflict of interest when it comes to advocating on your behalf to the insurance company. What will Strategic Claim Consultants public adjusters do for you and your family? Most people don’t realize the insurance company won’t automatically pay their insurance claim. Instead, it’s your specific responsibility to prove your claim in order to get compensated for a loss. When a disaster occurs, the insurance company has adjusters, building engineers, claims managers, and supervisors all representing their interests, working to minimize the amount the company has to pay. Who do you have representing your interests? You have Strategic Claims Consultants. Our esteemed staff of experts includes licensed public adjusters, building estimators, inventory specialists, and accountants working for your interests. Our firm has the resources and expertise to assure you get everything you are owed under the terms of your insurance policy. Our public adjusters have unparalleled local market knowledge and a commitment to personalized client service for each loss. Damage or major loss to your most important asset, your business, is a stress no one can rightfully prepare for…and every decision, especially in the immediate aftermath of a disaster, is critical to recovering, repairing, and restoring your business. Your focus needs to be on getting back up and running and not on having to learn and navigate the many complexities of the insurance claims process…but your business framework and future viability rest on the results of your commercial insurance claim. Our firm and team of expert public insurance adjusters understands this as our entire focus is on providing you with the consulting and advisory services that reduce the headaches and stressors of the claims process, and, most importantly, ensures you maximize and receive the emergency funds, benefits, and resources in which you are entitled. What will our team of forensic experts, public adjusters, and claims staff do for your business? 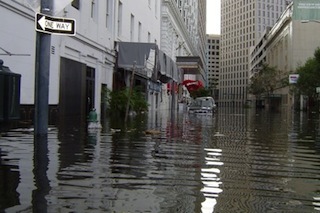 Property insurance and business interruption claims are complex, and the ability to navigate them requires expert levels of knowledge and experience. We are experts, and we will advocate for you, the policyholder, working exclusively for your benefit, minimizing the difficulties of the process while maximizing your settlement amount. We work for you, never for the insurance companies, so you can feel confident and secure in our representation…meaning there is no inherent conflict of interest when it comes to negotiating on your behalf with the insurance company. No matter your current damage or loss situation, make sure you engage only established, expert, and trustworthy firms to assist you. We at SCC understand that it is not only about maximizing your commercial insurance claim settlement, but also about guiding you carefully, thoroughly, and compassionately through the entire recovery process. Strategic Claim Consultants has successfully guided hundreds of business owners through the insurance claim settlement process. Your loss is our loss and we take them personally.